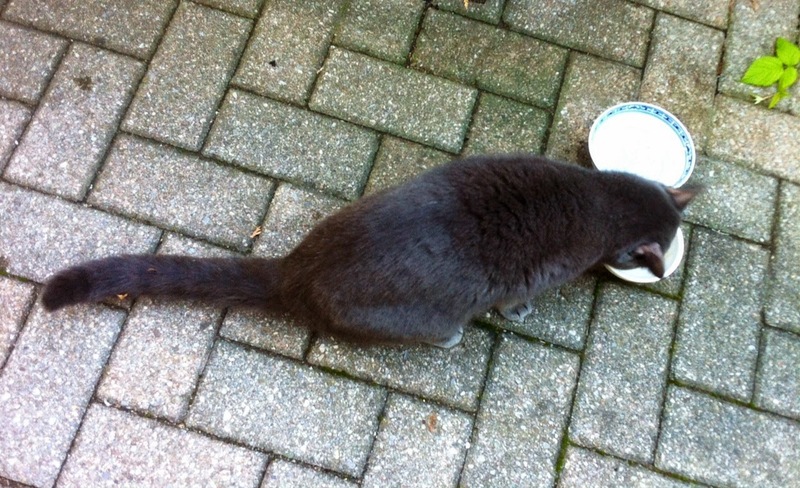 Ring Around The City: Do You Know This Kitty? Do You Know This Kitty? Hmmm... my earlier post about a missing kitty "disappeared." Blogger glitch, no dout. Anyway, now I have (blurry, crappy) pics!This little guy has been hanging around my place lately. (East of Bathurst/south of Barton). 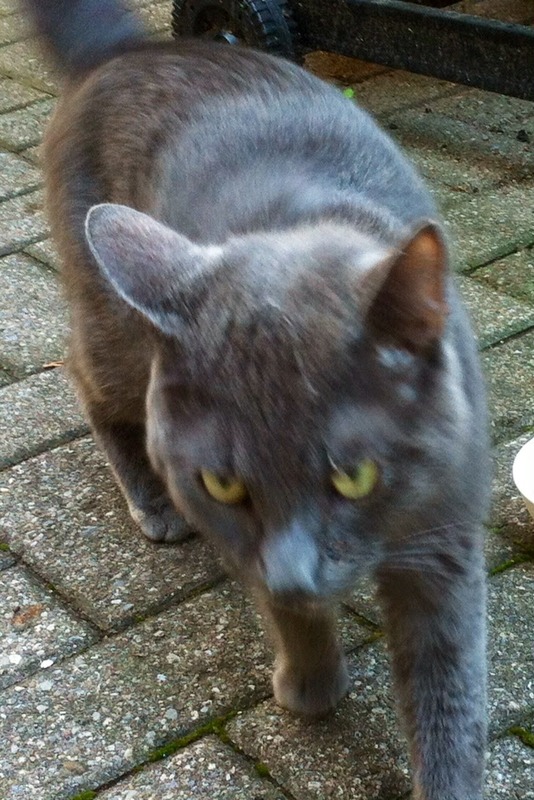 He is a grey, young-ish, unneutered male. Skittish, has no collar and seems to be out at all hours. He could be feral; I'm trying to find out if he's missing, though! Could you spread the word? There's no posting about him on any online Lost Kitty forums that I perused. Email me if you need more information, or think that he might be yours.